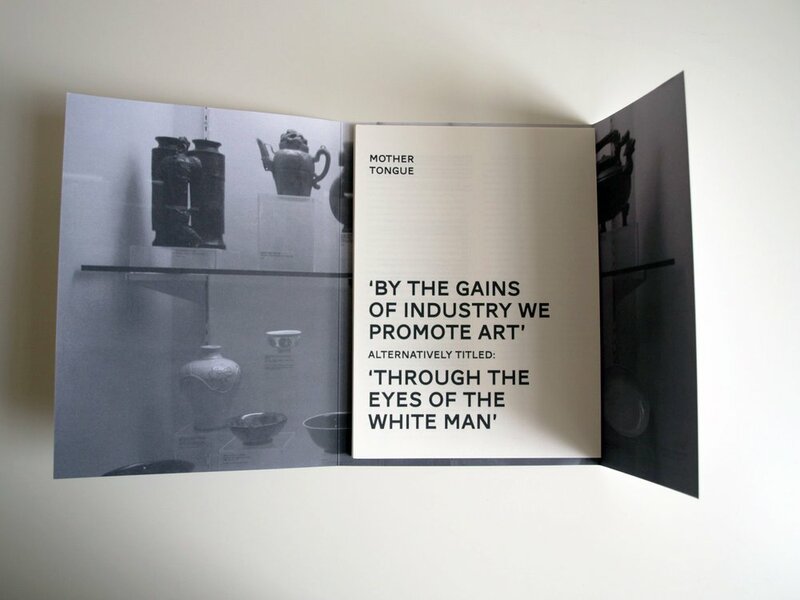 BY THE GAINS OF INDUSTRY WE PROMOTE ART alternatively titled: THROUGH THE EYES OF THE WHITE MAN was a proposal for The Burrell Collection, published as a part of the 'Curators and Collections' seminar commissioned by The Contemporary Art Society for Glasgow International 2012. The seminar focused on questions such as; where is the next generation of curators who will form partnerships and work with collections? How will the all-important research that supports excellent exhibition making be sustained? With the evolution within curatorial practice how will we engage and inspire audiences through our public collections of modern and contemporary art? Mother Tongue were invited to make a speculative proposal for the Burrell that would challenge some of the limitations associated with borrowing from the collection whilst imagining new possibilities and contexts for its interpretation. 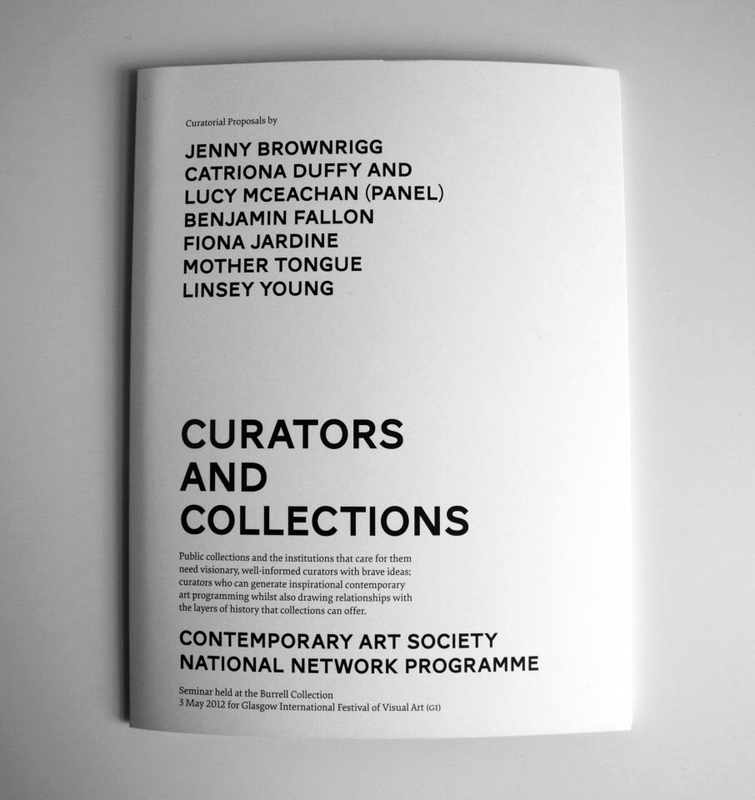 Our inclusion was as part of a cohort of locally-based curators invited to participate, alongside Benjamin Fallon, Fiona Jardine, Linsey Young, Jenny Brownrigg, and Catriona Duffy and Lucy McEachan of Panel. The Curators and Collections Seminar took place at The Burrell Collection on 3 May 2012. Speakers included Stephen Deuchar, Director of the Art Fund, Frances Morris, Head of Displays at TATE Modern and Annie Fletcher, Curator of Exhibitions at the VanAbbemuseum, Eindhoven, Netherlands.